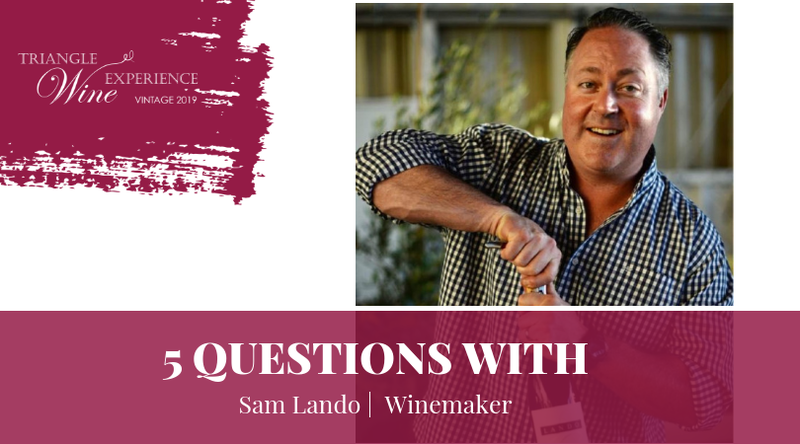 Can we tell you how much we LOVE Sam Lando of Lando Wines? He is a great husband, father, friend, and of course, an extraordinary winemaker! We highly recommend meeting Sam at Triangle Wine Experience. He is as fun as his wine is delicious. Boy, seriously depends on the season. Unfortunately, I’m a fan of many beverages and styles. Of course, Russian River Valley and Sonoma Coast Pinot Noir and Chardonnay are my primary choice for all round deliciousness. But there is a lot to be said for nondescript, but exceptionally refreshing ice cold Coors Light. (Especially in the heat of summer and around harvest time.) As we get into cooler fall and winter weather, bourbon comes to the forefront. Nothing like a good bourbon and ginger during the holidays! Parish Restaurant in Healdsburg. Part of my childhood was spent in Baton Rouge, Louisiana. Aside from their hospitality, the ambiance and food are as close to genuine southern comfort that I have been able to find in CA. The Eggs Nouvelle Orleans is an unforgettable indulgence. 3. Beach or Mountains-what beach or what mountains? Love this one. Actually, I truly love them both. But I actually like the beach a bit more. However, I have a strong aversion to sand. I’m not a fan of using the word hate, but I hate sand (long story for another time). That said, one of my favorite places on the planet is the Princeville Resort in the north shore of Kauai, which is now the St. Regis at Princeville Resort. Here’s why, I love the sights and sounds of the ocean. I also love the majestic nature of deep green mountains. All of this can be taken in by relaxing chest deep in the infinity edge pool…ocean to the right and incredible mountain scenery and waterfalls to the left. Wish we could be there now! My father for his intense love of education/knowledge and passion for the environment and nature. Equally so, is my dear friend’s father (who was another father figure) who instilled a tireless work ethic in me. My parents divorced when I was twelve years old. From that point on, I spent many afternoons and summers with my best friend and working for their family plumbing business. They introduced me to traditional Italian food, wine, and the value of hard work. Dear memories and life lessons! I got involved with the Frankie Lemmon School and the Triangle Wine experience through the direction and insistence of Eliza Olander Kraft. Her love for and passion for the school and their needs drew me to it back in 2008. From that first visit, I understood and knew that I needed to contribute what I could to give and support their efforts. And will certainly do so as long as we can!